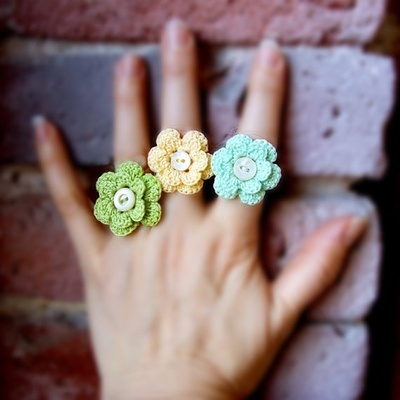 Do you know how to crochet a ring? Do you know how to crochet a ring ? Yes! I know how and I've got a couple of patterns in my queue.... not made any yet though. I have made a rather lovely crochet bracelet and necklace set so a matching ring (or two...) would be a logical next step. Oh I would love to see your work Verity ! Where can I buy wax in Melbourne? Have you tried more than one type of mango?